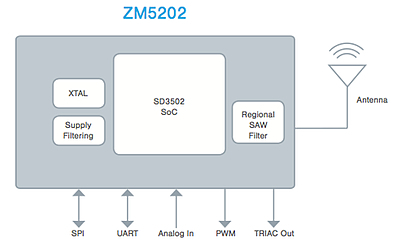 The ZM5202 module combines a Z-Wave SD3502 SoC with a built-in microcontroller and Z-Wave RF transceiver, crystal, and passive RF components making it ideal for single micro controller products. The ZM5202 module provides 128kB Flash and 16kB SRAM. 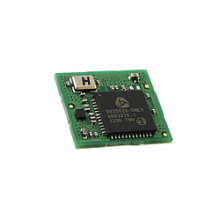 The ZM5202 is also pin-to-pin compatible with the ZM3102 and ZM4102 modules allowing an easy upgrade path for existing products to take advantage of Z-Wave Next Gen.